Los Alamos Gets 'Inadequate' Safety Rating from Energy Dept. 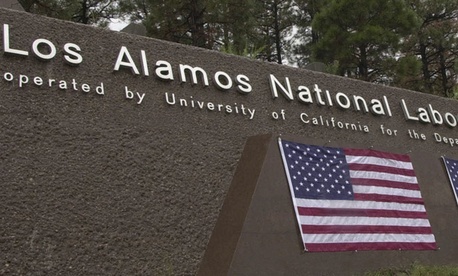 Nuclear-arms officials said a Los Alamos National Laboratory security update was done under budget, despite millions of dollars in unplanned costs. The U.S. National Nuclear Security Administration on Thursday said it spent $1 million less to improve protections at a sensitive area of the New Mexico site than its "original budget" had allocated. However, the picture is a bit more complicated than that; program costs went down in April 2011, only to skyrocket anew later on as security boosts were installed at aging Los Alamos lab facilities that handle plutonium usable in nuclear arms. Fixing the issues ultimately required tens of millions of dollars in unplanned expenses and more than a year of additional work, the Associated Press reported. A nuclear agency official acknowledged in a Thursday statement that the effort to upgrade defenses at Technical Area 55 -- the country's sole site for manufacturing plutonium nuclear-bomb triggers -- was a "troubled project." The comment by NNSA Associate Administrator Bob Raines was an allusion to flaws discovered in the late stages of the new system's delivery. His agency -- a semiautonomous branch of the Energy Department --revealed the problems in late 2012, several months before the project was originally slated for completion. The nuclear agency could still say that the project wrapped up "under budget," though, because its earliest cost estimate was far greater than a projection it adopted later on. "Due to favorable contract bids in April 2011, NNSA reduced the estimated total project cost from $245 million to $213 million," Energy Department Inspector General Gregory Friedman said in a report earlier this year. The cost of fixing the system's problems apparently eliminated most of the earlier-anticipated savings. Still, the project came in just short of the initial $245 million estimate, according to an NNSA news release.